Our main goal at SeamSafe® is your security. We view our customers as a community of friends. After all, our customers are the driving force behind our research and development of innovative standing-seam metal roofing safety tools. So it is with great excitement that we introduce you to the newest addition to our product line. 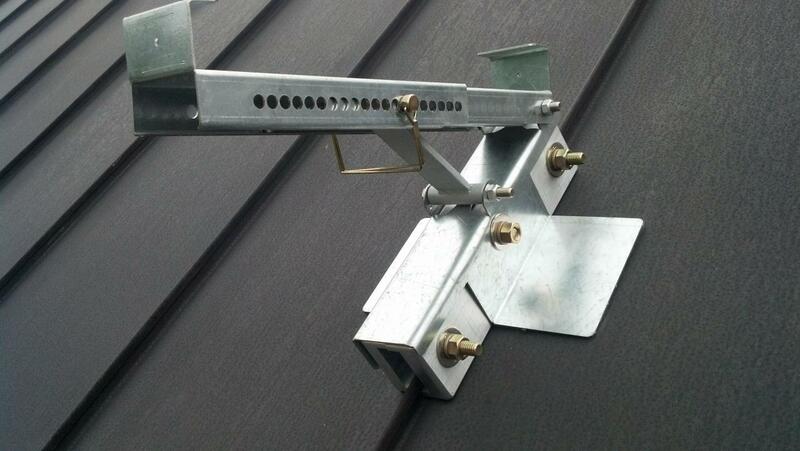 Our Roof Anchors have revolutionized the metal roofing industry. 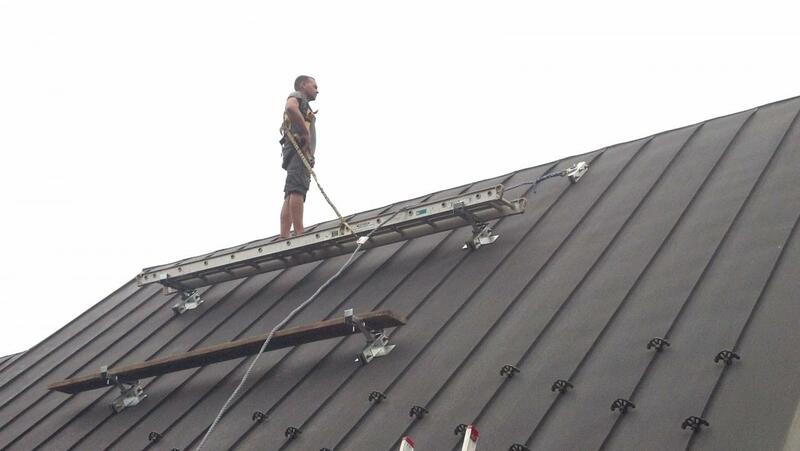 We are now pleased to offer The SeamSafe® Roof Bracket. The SeamSafe® Roof Bracket extends the value of the roof anchors you already love. It creates the option for additional workspace and stability for workers in areas that were not available in the past. After our Roof Brackets are installed on the seams of a metal roof, items can be attached to create a “table” to hold tools and roofers. This will allow for extra flexibility, as workers will not be required to hold everything on their person. The brackets adjust to multiple angles to provide secure support for materials, tools and tradesmen. In previous posts, we have explored the risks associated with roofing falls. As mentioned previously and confirmed by OSHA, falls are the leading cause of death, disability, and workman’s compensation payments. As a tradesman, the SeamSafe® products keep you safe, offer extra flexibility, save time on a job, and protect the integrity of your career. As the owner of a company, our products protect your most vital assets as they complete their tasks, reduce your overall costs, and offer protection against costly injuries. The SeamSafe® Roof Anchors are gaining popularity as individuals are introduced to the revolutionary design and technology. SeamSafe® Roof Brackets were created with the same trustworthy design you have come to expect from our company. Click here to learn more about our safety system or to buy now!